Benefits of a Mobile RV repair service – If you have ever wondered about the pros and cons of a mobile RV repair service, than this article is for you. Typically in our life, when an item is in need of repair, we bring that item to a shop. But when it comes to RVs, that isn’t always the best solution. 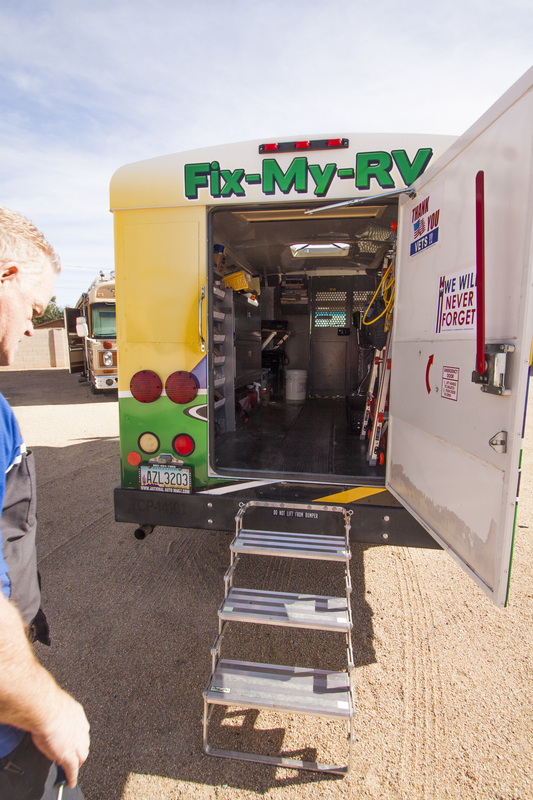 Using a shop can be costly, timely, and inconvenient so it is a good idea to consider using a mobile repair unit, like Fix-My-RV first. If you live in your RV than where are you going to stay while your RV is being repaired in a shop? 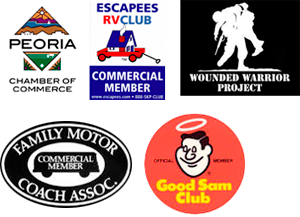 RV shops often have an RV for several weeks so that means in addition to the higher hourly service rate charged by shops, you also have to pay to stay in a hotel or become a house-guest of a friend or family member. Neither option sounds appealing. The hourly charge is considerably higher for a shop than a mobile unit. RV shops have a huge overhead due to the cost of their brick-and-mortar garages. This cost gets passed along to you with their hourly fees. In the Phoenix area, the industry average for RV dealership repair shop fees can be as high as $150 per hour for labor. The mobile RV repair industry does not have these overhead expenses so their hourly fees are considerably less. We hope the next time you are looking for a mobile RV service in Phoenix or the surrounding area that you give FixMyRV a call. We love what we do, we use only certified technicians, and we are RVers too, so we understand the investment you have made with owning a RV.